I’ve been working on a commentary for Romans 8. And when a verse you are studying makes a head on collision with life, things become real clear in a personal way. It’s such a beautiful and hard verse. Just rest there for a minute. Just put that on the fridge today. For the striver, the worrier – for all of us – what would we do, if not for Him? Before we ever were, He worked. Before our current problem, He was at work. In the midst of the Bermuda triangle when everything around you is spinning – He works. All things. Each thing. Each person. Individually. On our time table. He works. He works all things together. For our good. It’s the good that makes it beautiful and hard. It’s the defining and understanding and questioning of that word. It’s the living it out. It’s the trusting. We see in its study the word compared to its usage in Luke when the writer is talking about fertile ground. The hard stuff is fertile ground. We don’t want to be tilled, but we must be to prepare for a planting. And I remember what I said to my daughter yesterday about the flower she picked for me. We have to choose what we allow to take deep root in us. Often a seed of hurt goes deep, deep down. We can’t nurse it. Too much attention, too much water and it rots. Ignoring it causes the dryness. So what do we do? Where do we go? The word good here actually denotes something that is inclined towards goodness. Of course; I get it. Where does all goodness come from? Only the Lord. He allows and uses circumstances, trials and joys that our neck would turn in one direction. That’s the working out of it. All things draw us to Him. We want a person to say a certain thing. We imagine a certain puzzle piece locking into place. We go back a thousand times and rehearse the scenario. What if…..
And you eventually find out that no person, no pill, no scheme can touch that hurt you have. And you realize there’s got to be something more. There’s got to be something bigger. He is. He is bigger. He is better. Only God can do this for me. Only God can turn me around when I’m running hard in the wrong direction. Only God can mend a broken heart. But it’s more than that. God isn’t just a mender. He’s a Maker. He makes new from nothing. He creates hope. He enables us to do what we are convinced we cannot do. And it changes us. When we offer grace we didn’t think we had. When we see ourselves in the lineup of people deserving judgment and see Him pronounce us released. They say trials bring out the heart of a man. I’ve seen mine too often. But recently, I saw the heart of a man I know and it changed me. In the thick of the fire, his heart came forth as gold. He loved those who slandered him. He reached out to those to hurt him. He listened to those who disagreed with him. And he still loved them. And he told me so. He told me how much he loved them. And it really, truly did something in me. It was the changing point. I’d never really seen the love of Christ lived out like that. Christ was humiliated, and He still loved them. They spat on Him, and He still loved them. Deeply. Dearly. He lived through the hurt because His heart beat for people. And everyone was wondering how this cruel act could cause any good. His followers were overtaken by a mob, and they scattered. Meanwhile, the seed of Christ’s pain was burying deep into the story of the world. The ground had been tilled with the truth of the gospel. Long hard days of truth-telling and miracle-working. God always works. Christ really can make us a different kind of people. And it’s a miracle. 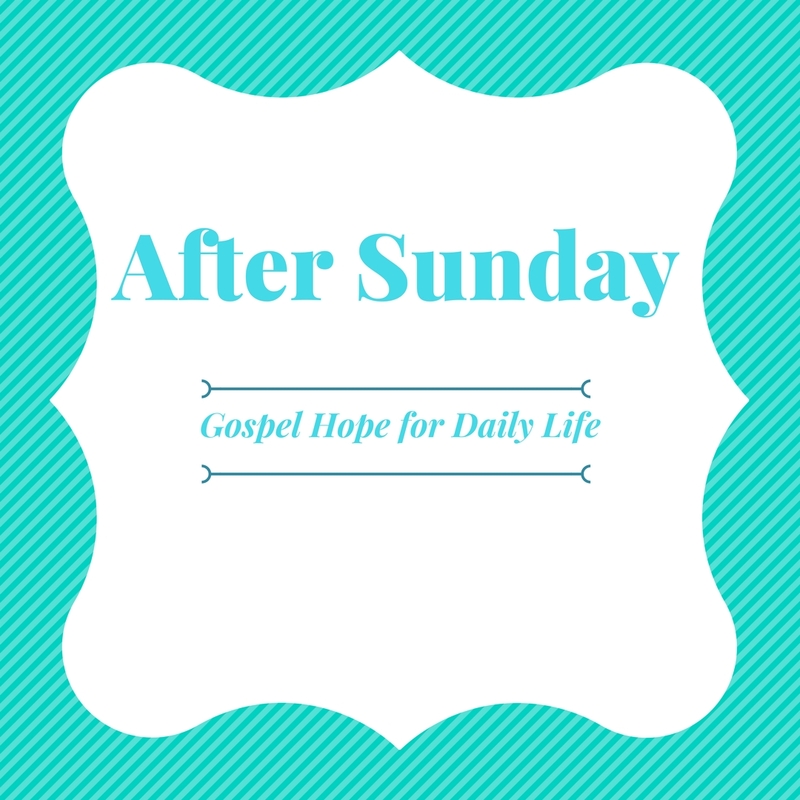 Like the Sunday morning when the seed took root, sprouted and Christ overcame the world. Doesn’t mean it’s not hard. To love people. To overcome. To believe for something good in every hard, confusing story. It means we can. We turn our face towards Him. We allow His work in our heart. He waits for us. He sees the hurt. He doesn’t rush. But He offers a different way. Different than the world. Different than the direction we’ve been moving. And though we thought our way felt the most right, we feel relieved. The hurt can move on….because we’ve got Him. He really is enough. The circumstances are trumped. Because the something good coming forth is found inside of us.